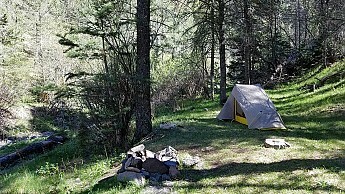 This was just an overnighter but is was nice nonetheless. 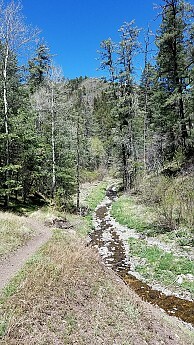 The White Mountain Wilderness is just north of Ruidoso NM. Enjoy the photos. 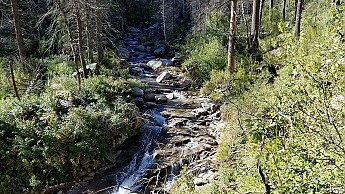 I did spot some small trout in the creek and the streamflow varies with the rain and snow this region receives. Best thing about this time of the year is the lack of people. I saw 4 equestrians initially and no one else after that. Looks very nice, and even though I've been through the area on my way to White Sands Missile Range many years ago, it's still hard to picture trees in New Mexico LOL. More beautiful country is hard to imagine, though. It's a little too hot for my tastes even now (I was there in May), but not having to wear a chemical suit & flak vest may help! The Sacramento Mountains and Sierra Blanca range are considered to be an "island" with a drastically different climate when compared to Las Cruces, Alamogordo, White Sands, etc. The temps are much, much cooler here even during the summer months. I never found chem gear to be very enjoyable either unless it was during the winter. 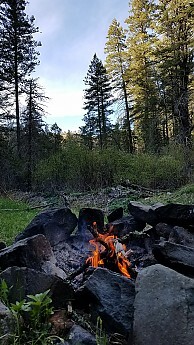 On of the wonderful thing about the American Southwest, especially southern Arizona and New Mexico, is the presence of island forests gracing the many ranges that prevail in this country. 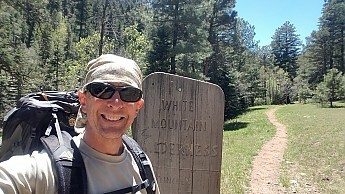 Tall pines and cool temps are just minutes away, even on foot - fabulous!! My best memories of the Southwest are equally distributed between deserts and forest...the sparse nature of trees on the drive to some of these spots makes them even more rewarding when you get there. Nice photos! very cool Rob, trout too small to mess with? Too few. The creek is tiny. I was surprised to see any. 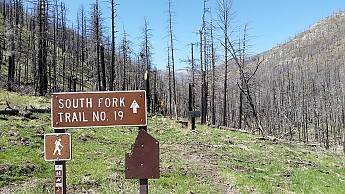 The South Fork of the Bonito was the place to fish before the Little Bear fire. 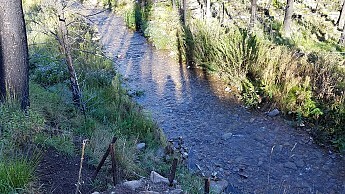 NMGF and Trout Unlimited are going to plant Gila Trout in there sometime in the future. 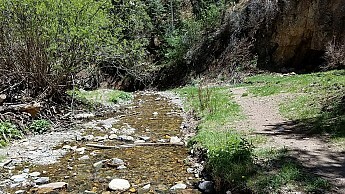 I know other places to fish in and around Ruidoso. 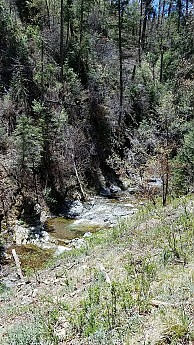 Here's pics of the South Fork. You can see it's wider and the flow is more substantial.